For the CEC10 Family now available, a TPM (Trusted Platform Module) option with TPM1.2. 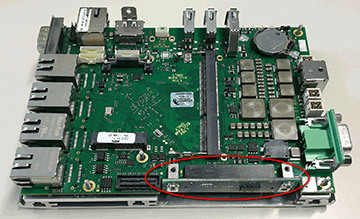 The module can simply be plugged into the CEC10 baseboard. The add-on module is called CEC1xTPM1.2. If you use for example BitLocker (disk encryption) then this is an ideal solution. Please note, the TPM option cannot be used in combination with the BACK-1.